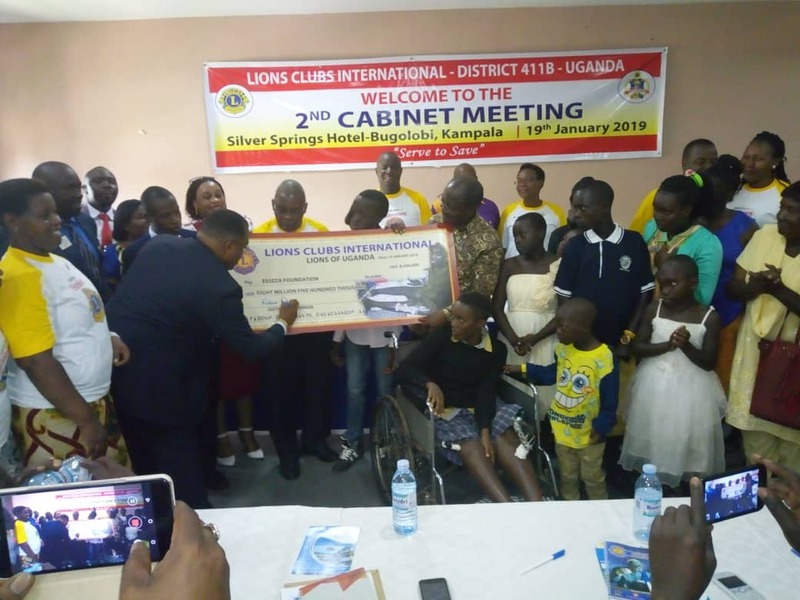 In a bid to extend healthcare services to the poor members of the community, Lions Club Uganda members recently donated shs 8.5 million towards the treatment of Miss Rosete Kyomugabi. 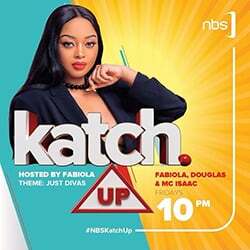 Kyomugabi aged 25, a resident of Ntungamo Municpality,was knocked down by a Boda Boda rider in 2014, which resulted in her sustaining serious injuries that paralyzed her legs. “Iam extremely happy for the humanitarian gesture extended to me by Lions Club members, to enable me undergo medical surgery on my paralyzed legs”, she said, while receiving the dummy cheque from Lions Club Uganda Governor Robert Munanura, at Silver Springs Hotel in Bugolobi, a Kampala suburb. Munanura said Lions Club Uganda shall continue rendering financial support towards the treatment of vulnerable persons in Ugandan society. “Our mission and integrity is unquestionable because we strive to support people who cannot afford to foot medical treatment bills”, he said. He called on Lions Club members to encourage more people to join the Lions Club, so as to boost their humanitarian activities countrywide. “Apart from rendering medical support to the community, Lions Club Uganda is also at the forefront in fighting hunger and environment conservation campaign”, he added. Kabann Kabananukye, the founder of ESSEZA Foundation Charity organization, which helps vulnerable people with physical disability access medical treatment, lauded Lions Club members for their humanitarian gesture.” These children with physical disability are part and parcel of the Ugandan community and need our support to enable them live a happy life. I commend Lions Club Uganda for their support and call on all good-hearted persons to emulate this”, he said. During the same Occasion, Lions Club Uganda carried out medical camps at Kiswa Health Centre to screen people for diabetes and eye anomalies. “We want to encourage people to come for free medical treatment. The two days’ medical camp by Lions Club is targeting to treat as many people as possible”, said Dr Grace Ssali, Mulago Hospital Eye Specialist and member of the Lions Club. She said diabetes causes blindness, which is why Lions Club is committed to raise early screening of diabetes, to protect vulnerable communities from falling victims of blindneness.